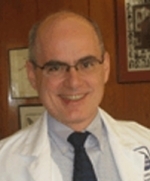 He was formerly the vice chair of the Department of Rehabilitation Medicine, Mount Sinai School of Medicine and the medical director of the Brain Injury Rehabilitation Program. Dr. Flanagan has served on medical advisory boards of many national and international committees and has presented at scientific meetings both nationally and internationally, most notably on topics pertaining to brain injury rehabilitation. He has authored numerous chapters and publications and has participated in both federally and industry sponsored research, funded by such organization as the National Institute on Aging. Does Having a Brain Injury Mean I'll Get Dementia When I'm Older? CTE from Abuse, Not Sports?